Highland Park United Methodist Church and the Hall on Dragon played host to Jill & Jeremy’s big, vibrant wedding. 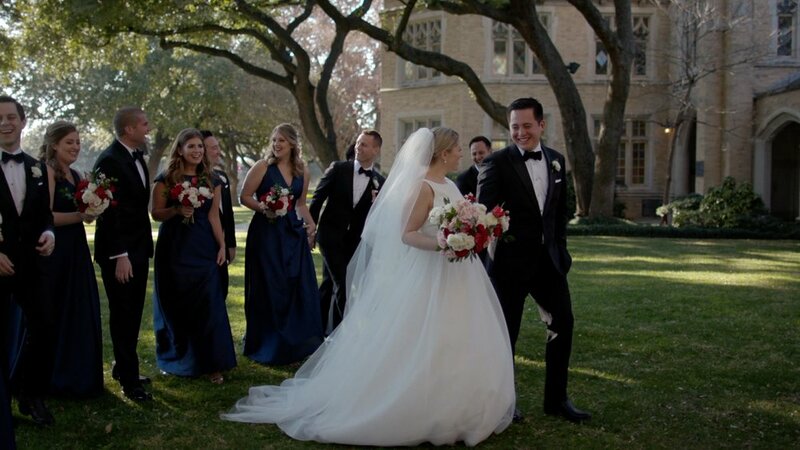 The day featured everything that a couple could wish for: a solemn ceremony in a beautiful sanctuary, a band that knew how to get the party going, and a special speech by the father of the bride that had real emotion in it. Special thanks to Jill and Jeremy for being so welcoming to us throughout the day. Thanks, as well, to Sarah from Each & Every Detail for doing such a great job with the planning. If you would like to download any of Jill & Jeremy’s films, you can do so as many times as you would like without charge. Just click the links below. The password for all of the films is: "Jill." We wish Jill & Jeremy all the best as they start their married lives together.